Chances are, you're looking at this bike right now and thinking either 'cool!' or 'What the hell?' A fully rigid, coaster brake-equipped, 32-pound cruiser is a love or hate proposition. In truth, I had no idea which camp I belonged to before I threw a leg over the Klunker, but I was definitely intrigued. Transition Klunkers are selling like hotcakes in my neck of the woods— and not because people are using them to make some sort of ironic-mustache, hipster statement en route to their morning latte. People are riding the piss out of these things on very technical terrain and, by all appearances, enraptured by a bicycle that's as technologically sophisticated as a ham sandwich. Like I said, intriguing. Let's dispense with the tech bit. 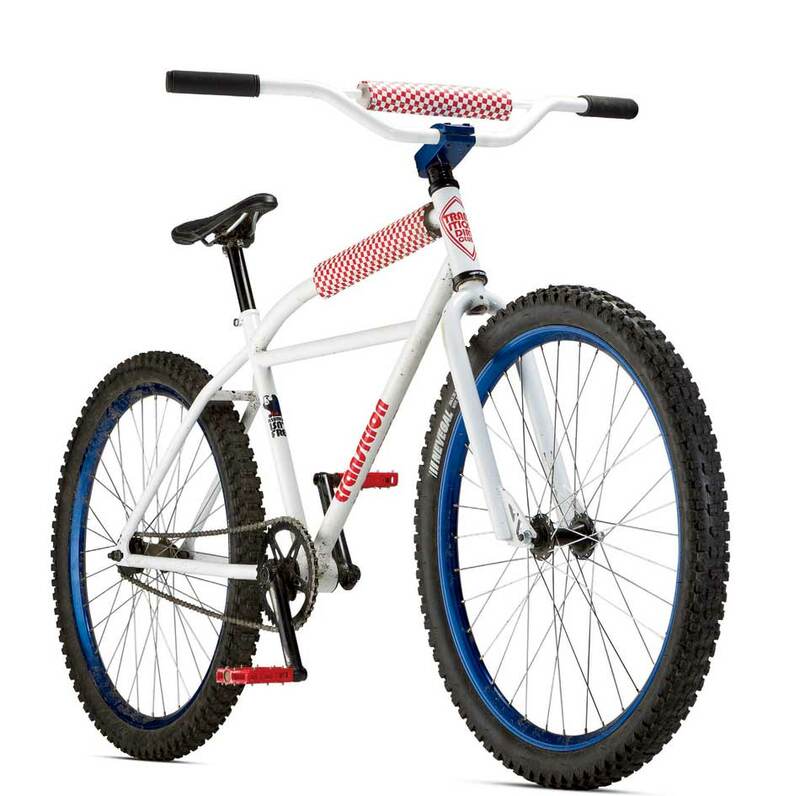 The frame, fork, moto-style bars and three-piece BMX cranks are all made of steel. The downhill-friendly geometry (67- and 68-degree head and seat-tube angles) harkens back to that of the Repack-era racers. Frame sizing is a 'one size fits all' affair. That about sums it up. 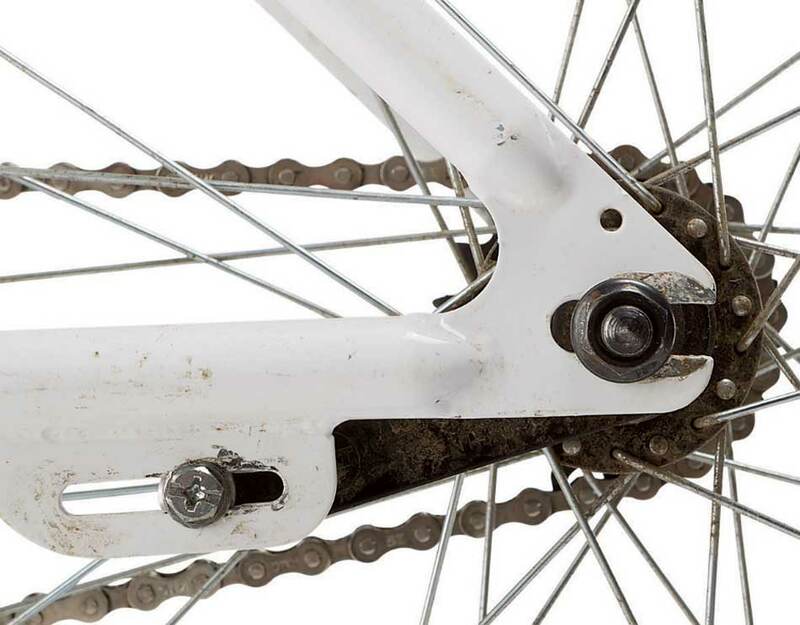 One gear and a coaster brake–the Klunker ain’t for sissies. As the sticker on the chromoly frame proclaims, "Klunking ain't free." That's true and then some. Climbing aboard the Klunker is a get-on-top-of-the-gear-and-muscle-the-hell-out-of-it proposition. You've got exactly one (42×18) gear and if that's too steep for you, you can get off and push, or swap the cog and chainring for something a bit more knee-friendly. My local terrain is steep; this translates into a lot of pushing to the top of the mountain, which is where things get interesting. Fast. You'll never know how much you normally rely on your brakes until you’re pinning it down a treacherous stretch of track with nothing more than a feeble coaster brake standing between you and dismemberment. Descending is all about controlled braking here, which requires both the perfect arrangement of your feet and the ability to find and surf along that fine line between maximum braking power and useless, holy-crap skids. If all this sounds horrible, it, surprisingly, isn't. The moment I finished my first ride aboard the Klunker, I'd already decided to buy one, which I'd never have predicted. I like gears. I love suspension. Yet, there's something refreshingly simple about the Klunker. Trails that you mastered long ago become thrilling again. You can fix almost anything on the bike with either a crescent wrench or a flat blade screwdriver. Nothing here is rocket science and that's the whole point. Is your chain tight? Bolts snugged up? Rear hub freshly packed with grease? You're ready to roll. Would it be my only bike? Hell no. But the Klunker is a lot of fun, and at $550, it's a flavor of fun I can afford. If I never again had to throw a leg over a rigid singlespeed, I'd be fine with that. Our sport is old enough to know better, and modern mountain-bike technology has advanced to the point where arguing that suspension and wide ranges of gears are an unnecessary crutch is like claiming that helmets are for sissies—and that our world is flat. Yet for some reason, the notion of a big, dumb, slack, coaster brake-equipped steel cruiser piqued my interest as much, if not more so than every single one of the bikes in this year's Bible of Bike Tests. Go figure. Perhaps there's just something about a coaster brake. Unlike every other bike that I've tested for this magazine, I simply climbed aboard the Klunker and started riding. I was wearing jeans and boots and a shirt with a collar. I didn't even bother to take off the corporate-issue keycard lanyard I had around my neck. Nope, I just rode. And skidded. There's something special about a coaster brake that simply requires one to lay down big skids, and there's something about the Transition's laid-back geometry that absolutely begs that it be thrown into flat-track-inspired, sideways slides. Riding the Klunker in our office parking lot, I felt like I was Mert Lawwill in the classic film, "On Any Sunday,” but on a bicycle instead of a motorcycle. It was glorious. Once out of the parking lot and on the dirt of the little pump-track luge-run behind our office, I was forced to realize that the worst modern disc brakes offer way more speed control than the Klunker's coaster brake. The Transition is heavy and, as Vernon Felton has pointed out, is about as technologically sophisticated as a ham sandwich. 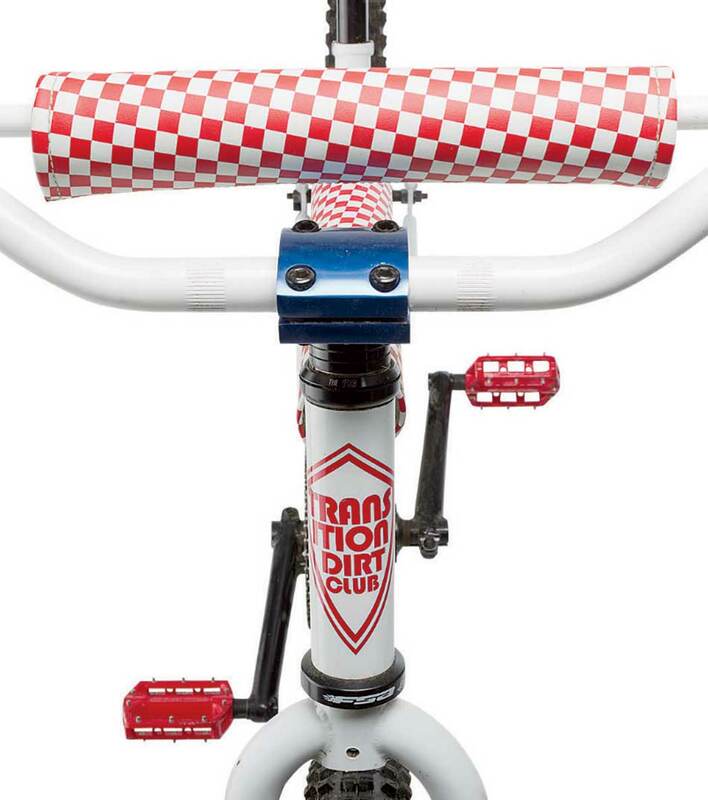 It lacks a front brake and the coaster brake isn't going to stop you on a dime—you'll probably need a much larger coin to get you fully halted. If we were pitting this bike against any of the machines featured in this year's Bible of Bike Tests and judging it by the same criteria, it would fail miserably. still, this retro-modern hunk of metal represents some of the most perfect bicycles ever made—ones that were ridden simply for the sake of having fun—no attitude or false pretense required. If you can find space in your garage for one more bike and the $550 price tag won't put you in the poorhouse, the Klunker is a bike you positively owe it to yourself to own. It won't make you a better, faster, stronger, cooler or more-attractive mountain biker. But it will make you smile. Honestly, if I were allowed just one bike to ride for the rest of my life, it just might be this here Klunker.